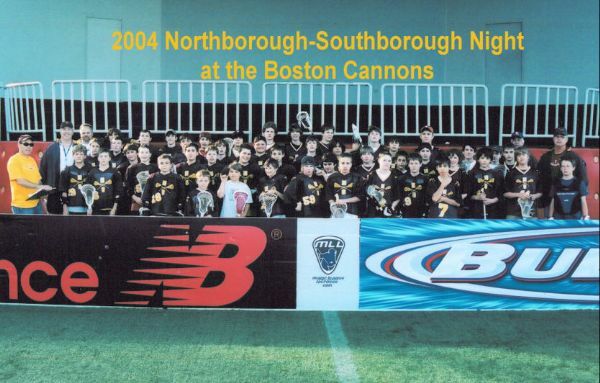 2004 was the first year we organized a large group from our program to support our Boston Cannons. 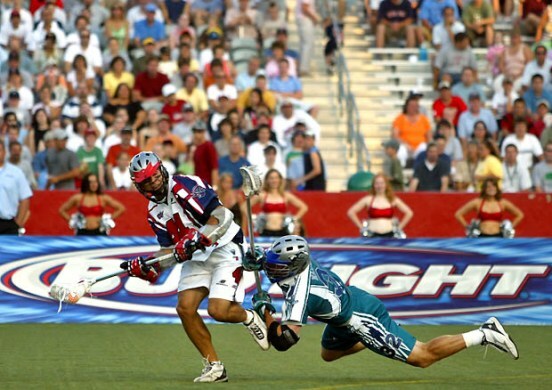 Prior to the game we had a combined team or our U13 players play against Arlington Youth Lacrosse. They were cheered on by a contingent of 165 players and parents from NSYLA. At the end of our game, our players formed the tunnel through which the Cannons were introduced at the start of the game.